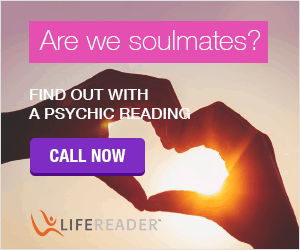 Born on the Cusp Love Compatibility Part 2 - Find YOUR Love Match! 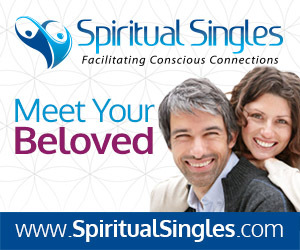 Would you like to learn more about Born on the Cusp Love Compatibility? Do you know which Star Sign makes the best Cusp compatibility love match for you? 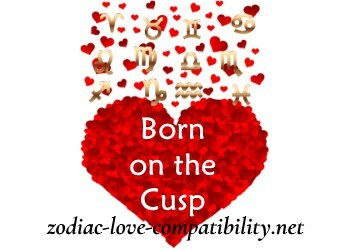 Born on the Cusp Love Compatibility is a lot more flexible for Cuspers, than those born under just one sun sign! An amazing 20% of birthdays fall “on the Cusp”. This means a large number of the people surrounding us are not influenced by one sun sign but TWO! Not sure what being “Born on the Cusp” means? 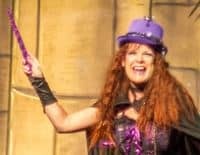 Read my article all about Cusp Signs. However, if you already know that you are a “Cusper” but would like to discover your true Sun Sign, then switch to my Free Birth Chart Calculator. One of the problems with trying to determine the Compatibility of anyone Born on the Cusp, is that although the Sun can only be in one Zodiac Sign at the time of birth, the influence of the other sign can provide quite a mix! “Cuspers” really need to look at their detailed birth chart. This will give a clearer picture about their personality traits and with whom they may be ideally compatible. However, I have discovered a unique book that goes into amazing detail about Cusp Signs and Cusp Sign Compatibility. Astrology on the Cusp is my personal “go to” book when I want to know more about Cusp Signs. There’s detailed info about all the Cusp Signs including: the most compatible signs, careers, personality traits and even the times of year that are more difficult and those that bring more positivity. The exciting natures of the Fire Signs of Aries, Leo and Sagittarius could prove attractive to Libra-Scorpios initially. However, if the Fire Signs move too quickly, this could unsettle Libra-Scorpio. This means that if Scorpio-Libra does not find this too off-putting and enjoys the fast pace, then great! The Earth Signs of Taurus, Virgo and Capricorn promise steadiness and calm. This is very appealing to Libra-Scorpio! However, this is providing they are not put off by the Earth Signs being slow to get close to. Once a Scorpio has set their sights on you, then it is all or nothing. But, the Scorpio side of this Cusp combination may put off a potential Earth Sign partner. This is because they can be so intense. Relationships with Air Signs could put Libra-Scorpio in the position of having to be the sensible, responsible one. As a result, the Scorpio part of this combination could find this very frustrating! The Air Signs have a habit of changing their minds and plans. This is not easy for Scorpio to tolerate. However, the fact that Air Signs are always such fun to be with may be sufficient to make the relationship work. Emotional Cancer, Scorpio and Pisces could actually be a good match for Libra-Scorpio. However, Libra-Scorpio could find the awkwardness and shyness of the Water Signs lovable. This means that they will love Scorpio-Libra in return! Scorpio-Sagittarius enjoys the qualities of Pisces-Aries and Libra-Scorpio. The loyalty of Cancer-Leo is appreciated by Scorpio-Sagittarius. However, they may find their dependency suffocating. This is because Scorpio likes their independence. The Fire Signs of Aries, Leo and Sagittarius could be a good match for Scorpio-Sagittarius. All these signs experience a mutual enjoyment of travelling. Fire Signs are curious by nature. They will share that curiosity with Scorpio-Sagittarius. 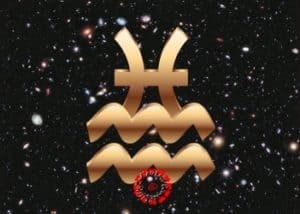 Scorpio-Sagittarius Cuspers will find the Earth Signs of Taurus, Virgo and Capricorn steady and reliable. They will want to know what the Earth Signs think and feel. However, Scorpio-Sagittarius may not behave in the thoughtful and sensitive way. The Earth Signs need this in return. This could cause issues. This Cusper may also find that they will need to “take charge” of most situations. 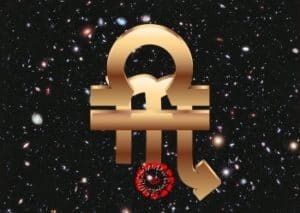 In the short term, romance for those born on the Cusp of Revolution could be found with a charming, magnetic Air Sign (Gemini, Libra and Aquarius). However, Scorpio-Sagittarius should be warned that the inconsistencies of both their Cusp Combination and the Air Signs may cause a clash. This may be the undoing of this pairing. This,despite the fact that they will share a similar sense of humour. Air Signs are full of imagination and creativity. This means that they will be great for sounding out about ideas. However, the Scorpio side of this Cusp personality can make them both sedate and intense at the same time. This means that Scorpio-Sagittarius will find the liveliness of Air Signs a challenge at times. The Air Signs have an extrovert personality. 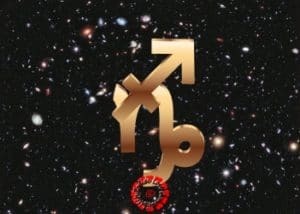 This means that they will find the quieter part of the Scorpio-Sagittarius character equally frustrating. Those born on the Sagittarius-Capricorn Cusp, will find an affinity with those also born on the Cusp of Prophecy. Their temperaments will be similar, but will not clash. Both sides of this pairing will love the fact that they like to get things done! Also good relationships can be found with Aquarius-Pisces. Finally Leo-Virgo could also work well. Providing they do not fuss too much. While with Aries-Taurus Scorpio-Sagittarius will find themselves getting more organised. Sagittarius-Capricorn shares a sense of humour with Fire Signs (Aries, Leo and Sagittarius ). Also, making a difference to the planet is very important to all of them. This shared passion can mean that the argumentative side of the Scorpio-Sagittarius nature can be provoked. However, some of those who have the combination of Earth and Fire will enjoy this sensation. They may even thrive on the tension and drama it causes. 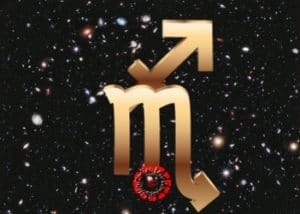 Problems will arise if Scorpio-Sagittarius ends up with someone who is nit-picky and finds fault in the most trivial of things. In this case they should think twice about the relationship! The consistency and reliability of the Earth Signs of Taurus, Virgo and Capricorn will help Sagittarius-Capricorn relax. Also, at the same time their confidence and sense of adventure will increase. Sagittarius-Capricorn will find Gemini, Libra and Aquarius (the Air Signs) amusing. This means that they will certainly keep these Cuspers on their toes. However, will those born on the Cusp of Prophecy be made nervous by the unreliability of the Air Signs? Their tendency to constantly change their minds could also be a problem! Yes, Sagittarius-Capricorn will have fun with Air Signs. However, just as they feel that they are beginning to understand them, Gemini, Libra or Aquarius may just disappear…. Sagittarius-Capricorn can be materialistic – they just love the latest electronic gadgets. The Water Signs of Cancer, Scorpio and Pisces will find this fascinating. However, this will not stop them being appalled by Sagittarius-Capricorn’s choices sometimes! Most of all the Water Signs are very supportive of this Cusp combination. They will be extremely loyal, even when they get into trouble. Capricorn-Sagittarius should be sure to appreciate all this. Even if Water Signs make them feel like a kid sometimes! I was born on the Cusp of Taurus and Gemini and in 1996 married a man born on the Cusp of Sagittarius and Capricorn. 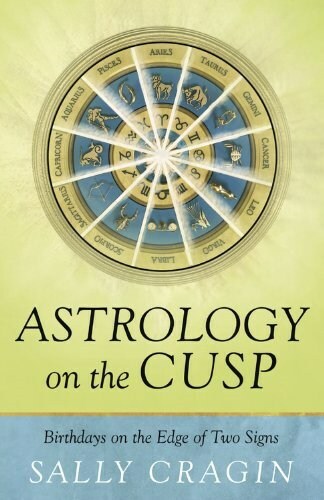 The detailed information about “Cuspers” that is contained in Astrology on the Cusp by Sally Cragin has been so enlightening! As a result, I know have a much better insight into what makes my soulmate tick. Also this book has given me a much greater understanding of myself. I just wish I had read this brilliant book, many years ago. It would have made such a difference to my own self-awareness and why I always feel like two different people all the time! Did you know that 20% of Birthdays fall “on the Cusp”? Therefore, you are bound to have come across “Cuspers” in your everyday life! 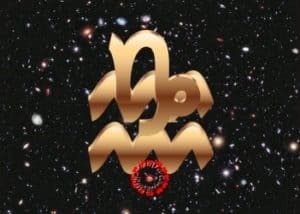 This is the only publication I have found both on and offline that delves deeply into the world of those influenced by two sun signs and their complex personalities. It certainly is unique! Are you a “Cusper”? Are you in love with someone Born on the Cusp? Instant download to your Kindle, Phone or PC! Capricorn-Aquarius are most comfortable with Scorpio-Sagittarius and Pisces-Aries. They may also find Virgo-Libra attractive. This mix of Earth and Air will experience fun relationships with the Fire Signs of Aries, Leo and Sagittarius. This means that building a life together is definitely on the cards! However, those Born on the Cusp of Mystery and Imagination need to be aware that Fire Signs could also leave them confused and breathless. This is due to their unbounded enthusiasm. Gemini, Libra and Aquarius, the Air Signs, will help bring out the more fun side of the personality of those born on the Cusp of Mystery and Imagination. Also, Air Signs will help stop them being too brooding. Air Signs are known as fun signs and they will suit the combination of Capricorn-Aquarius. However, only as long as they are willing to take on the role of decision maker. The Capricorn in this Cusp Signs craves consistency, which is totally at odds with the Air Signs. This can cause issues. The influence of Capricorn gives this Cusp Combination a practical nature. This will appeal to their fellow Earth signs of Taurus, Virgo and Capricorn. Earth Signs will also appreciate these Cuspers’ love of the comforts in life. Also they share the same work ethic. Reassuring and loving Water Signs (Cancer, Scorpio and Pisces) will remind Capricorn-Aquarius that it is crucial to be aware of their feelings. Also they will share their enjoyment of all different kinds of entertainment, food and traveling. Finally, sensitive Water Signs will understand and respect when Aquarius-Capricorn needs to be left alone to enjoy their own space. The element of Air will fuel the Fire of Aries, Leo and Sagittarius. Aquarius-Pisces may find themselves totally bowled over by their interest and their passion. However, this could end up making Aquarius-Pisces feel constantly rushed. This is particularly the case if their intended partner is an Aries or a Leo. Just when these Cuspers try to take a well-earned break from all this intensity, the Fire Sign will insist that they “have to” get on with something. As a result this could drive them nuts! However, at the same time Fire Signs are a lot of fun and will help Pisces-Aries to be less insular. The steady Earth Signs (Taurus, Virgo and Capricorn) will appreciate the depth of thought and feelings of Aquarius-Pisces. Even though they do not feel the same way. However, the problem will be that the Earth Signs have a deep-seated need for security. In the longer term this may rankle with the unique, revolutionary spirit of this Cusp combination. Likewise Virgo in particular will fully test the theory that opposites attract! The lighthearted, and sometime fickle Air Signs (Gemini, Libra and Aquarius) will make good friends to those born on the Cusp of Sensitivity. However, In a love match they may not be able to give the depth craved by Aquarius-Pisces. Always quick to react, Air Signs may not always appreciate the need for these Cuspers to let off steam about something. Gemini, Libra and Aquarius will not understand that, while wanting to complain, this Sun Sign combination may not really want to do anything about it. Geminis, in particular, may misunderstand this. This means that they could end up irritating the heck out of Pisces-Aquarius! The Water Signs (Cancer, Scorpio and Pisces) will definitely “get” Pisces-Aries. They will understand this Cuspers’ independence and quirky characteristics. Also, Water Signs are renowned for their moodiness. Although, they will be happy sharing a domestic situation with Aquarius-Pisces. However, Pisces-Aquarius need be careful of Scorpios! Those born in October will probably be better suited to them, rather than those born in November. But they need to watch out for the famous sting in the tail! For those born on the Cusp of Pisces-Aries, relationships with the Fire Signs of Aries, Leo and Sagittarius will feel right. In particular, an Aries partner will have a lot in common with them as far as their temperament is concerned. However, Pisces-Aries should also watch for the impulsiveness of Aries. These Cuspers may end up yelling “Slow down!” to an Aries. This, while they lag behind trying to keep up! Leo may not be as compatible as the other two Fire Signs with Pisces-Aries. This is because of their secretive nature and the need to be one-to-one for much of the time. Sagittarius will be happy to be with Pisces-Aries. This is because the Archer is comfortable when they need to be apart. Furthermore, Sagittarius will still need some reassurance from Aries-Pisces that all is well as they plan their next adventure. Pisces-Aries is a ray of sunshine to the Earth Signs (Taurus, Virgo and Capricorn). They will appreciate how these Cuspers see the world. They also appreciate their inner depths and their artistic nature. However, be aware that those born on the Cusp of Rebirth do not always appreciate the values of dependability shared by the Earth Signs! 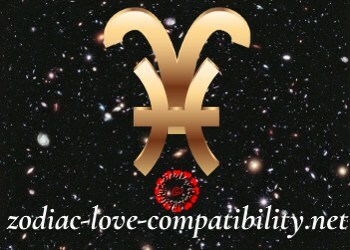 Air Signs may find it difficult to be truly compatible with Pisces-Aries. Therefore, it may be better to focus on friendship. Anything else could end up making them feel totally exhausted! The fun, whirling dervishes that are Gemini, Libra and Aquarius might make Pisces-Aries feel almost steady and grounded. However, it could work, providing they have have sown their wild oats. They need to have matured and be ready for a steady relationship. The Water Signs of Cancer, Scorpio and Pisces may make Capricorn-Aquarius feel they have a lot in common. Indeed they do! However, these signs are probably too similar to this Cusp combo to be really interesting as partners. Also, the broodiness and moodiness of the Water Signs will not help Pisces-Aries get out of themselves, although they will be loyal. Cancer should make for a good match – these Cuspers and The Crab understand each other well. However, Aries-Pisces needs to be aware that they may drive their partner insane with their inconsistencies. Finally, remember, once brought to the boil, Water Signs will continue to simmer long after everyone else has moved on from the argument! Were you Born on the Cusp? Is your partner a Cusper? Or have you found love with another Star Sign? Tell us which one in the comments below! 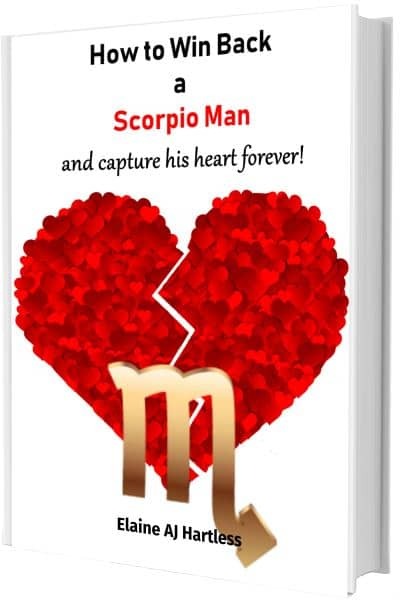 Previous PostBorn On The Cusp Love Compatibility – Part 1Next PostHow To Win The Heart of a Scorpio Man – Amazing Tips! I am a cusper–Pisces-Aries, Cusp of Rebirth, born on the Vernal Equinox. I’ve often wondered about cuspers compatibility with their direct opposites. For me, this would be someone born on the Autumnal Equinox, a Virgo-Libra Cusp of Beauty. Although my cusp combines water and fire, my natal chart has a lot of air in it, and I often struggle with a sense that I lack fire, which I see as a motivator. I am always too deep in thoughts and feelings. The idea of meeting someone whose elements are air and earth intrigues me. (I’ve never met a Beauty cusper.) What kind of compatibility (friendship, love, business) might there be between such opposites? And, seeing this looked at for the other cusps (each with it’s direct opposite) would be an interesting study. Hello , very nice article. I’m on the cusp of Scorpio Sagittarius girl. I had very commited relationships with three signs: my ex-Aries (he tried to control my life and I rebelled it was all good but he couldn’t deal with my freedom loving nature), my ex-Gemini (it was all great , but I’m not sure there what happened, I guess I needed more security) and my husband Sagittarius (it’s all great , he is supportive and understanding, he is loyal and he is so pleasantly surprised everytime when I tell him that this is his life and he can do anything that he wants to) Btw, I used to say that to my Gemini guy , but his response was :”You just say that, but it’s not true” 🙂 , well maybe he was right, very witty. I’ve never been romantically attracted to water signs, (maybe because my Venus is in Sagittarius) and never got the chance to experience love with earth signs. I want to find sexual compatibility of leo virgo cusp female with virgo libra cusp male but it was not found to me….